It’s amazing how time has the habit of rushing by without you knowing. Can it really be possible that LEOT is ten years old? We started small, providing students with scholarships for further education. Today we have reached two great milestones, our charities tenth birthday and the completion of four years teaching at the LEOT school. 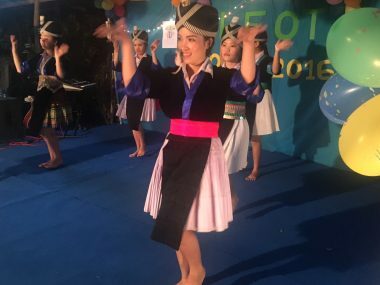 The show was planned for the first Saturday in June and thanks to our friend Max at he Music For Everyone School in Luang Prabang we had the perfect venue. 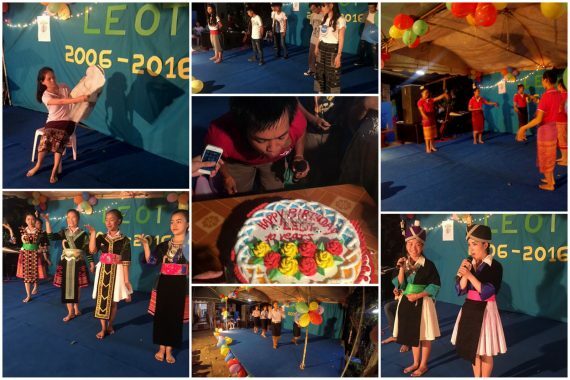 It’s the start of the monsoon season in Laos so we were a little worried about holding our party outside. It was great that the weather had been good all week, then suddenly on Friday night the rains came and we went to bed worried. At dawn things were worse with another thunder storm and the heaviest of rain. What were we to do? In true Lao style we made many phone calls and decided to sit and hope for the best. It was nearly eleven in the morning that our team moved into action and built a stage, put up the lights and blew up the balloons. By six thirty we were rewarded with a perfect Lao evening. The stage was perfectly illuminated and looked fantastic with its blue carpet and backcloth. The show opened on time introduced by our two MC’s. 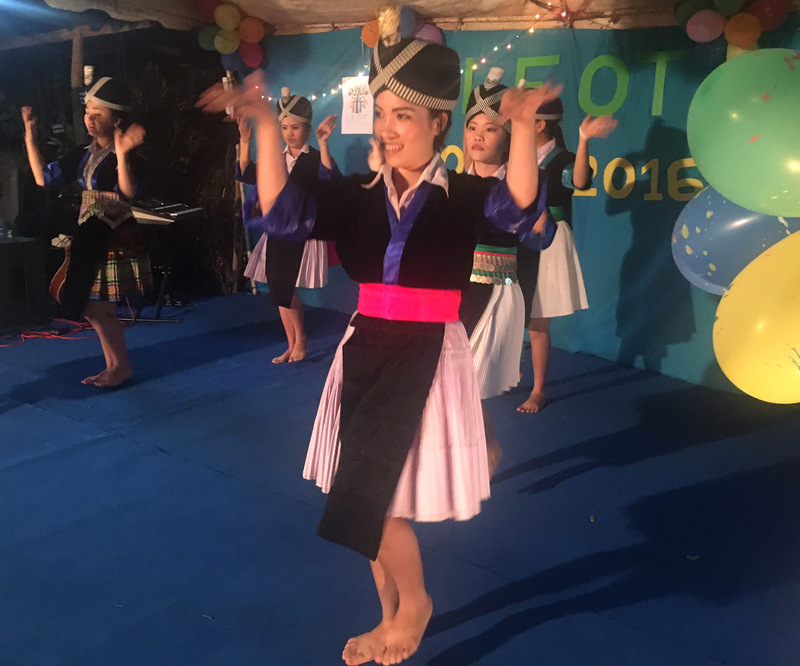 We enjoyed a veritable feast of entertainment with traditional and modern singing and dancing with specialty acts of juggling and magic. It was late when the fun and entertainment was complete. 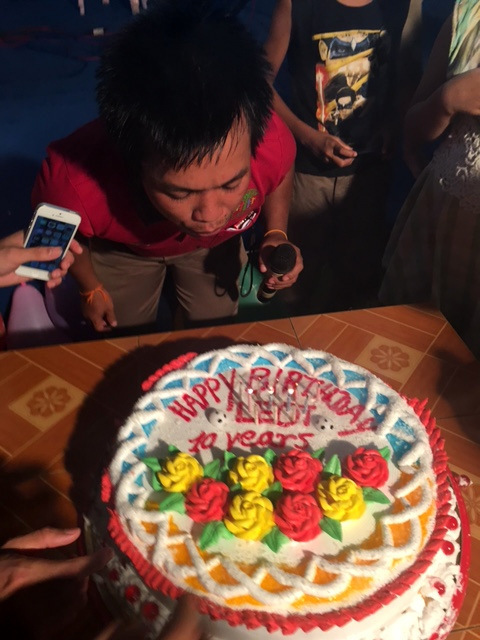 There was just time for Thong our senior teacher and our very first scholarship student to cut our Birthday cake.